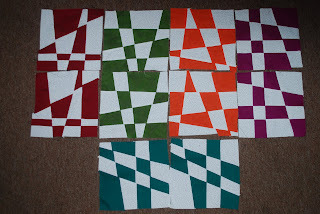 Here are my July blocks. This is the first lotto for me and I had a blast making them. I had a pain of a time ironing them out lol and I messed up a set of the red blocks but other then that these were cake to make. I live in Ohio with my husband, 10yo DD and 14mo DS. I am a ‘crafty’ type. I like to knit and crochet during the cold months and do my quilting and drawing during the hot months… not planned that way it just seems to work out like that lol. I am making a quilt for my son and ATM it measures ~70″ x ~48″ I’ve added a picture of it for you to see but what I was wanting to know is if you would recommend adding boarders to it? I was thinking of a 2 1/2″ wide outer border in the sashing fabric and a smaller inner border (1/2-1 1/2″??) of a solid red fabric that matches the red already in the quilt. I was also going to do corner blocks of the black/red fabric. Welcome to the Block Lotto, Shannon. I've added your blocks to the list. 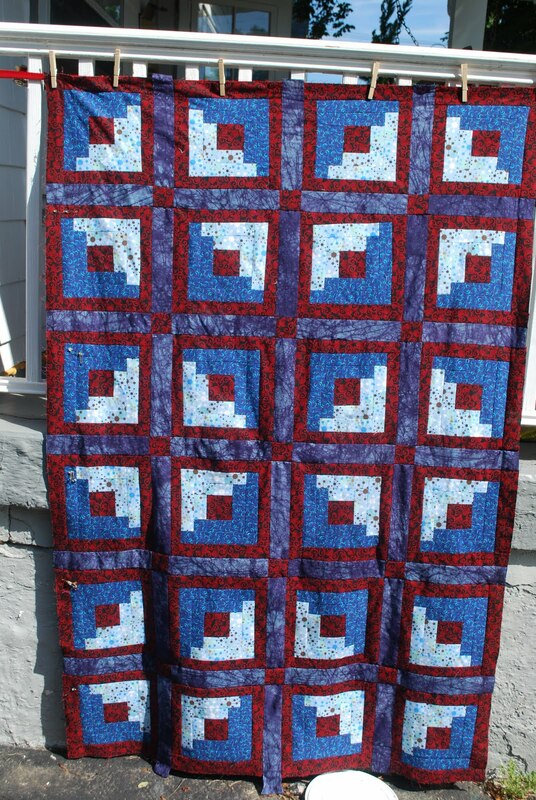 As for your quilt, I like the setting for those log cabin block. I'm not sure I'd like a red inner border, I think it might visually merge with the red/black around the individual blocks and you might lose the squares around the edges. 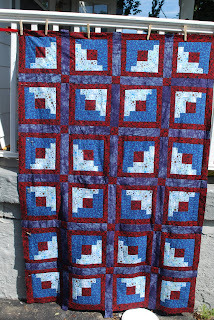 If you have enough of the fabrics, I'd probably do it the other way around, with the sashing fabric used as the inner border and a wider red border. I would also consider including a bit of the light fabric, either as a skinny border between the other two or as a flange or piping at the edge of the binding. 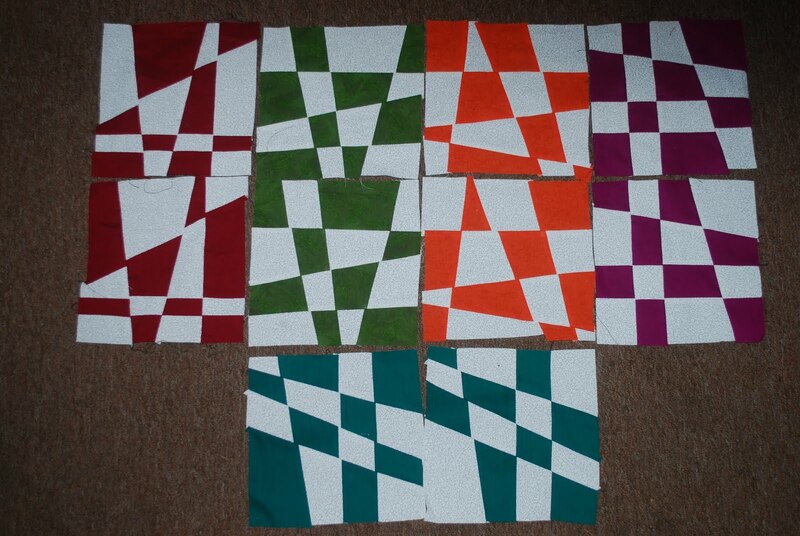 I think the best way to "see" how the different options will look is to pull out the fabrics and fold and overlay them with the quilt top to get an idea of how things look. And … trust your instincts–they are good, they have brought you this far and after all, it is YOUR quilt. Good luck.